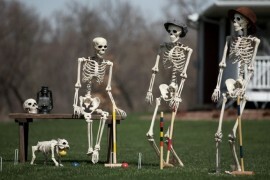 The weekend before Halloween is quickly approaching. 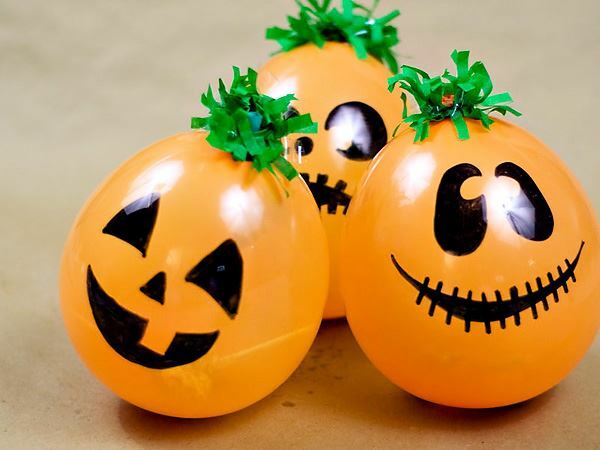 Since Halloween falls on a weeknight this year, the importance of stay-up-late weekend celebrating can’t be denied! 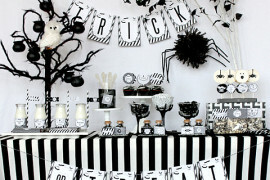 This is the weekend when Halloween parties are abundant, decorations are embellished and festivity can’t be denied. 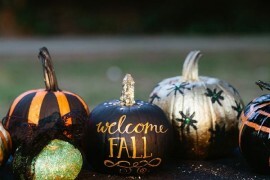 Are you in search of Halloween centerpieces, pumpkin crafts or party decoration ideas? 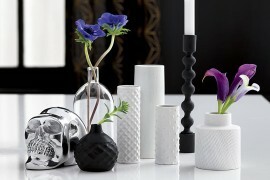 This post is for you! 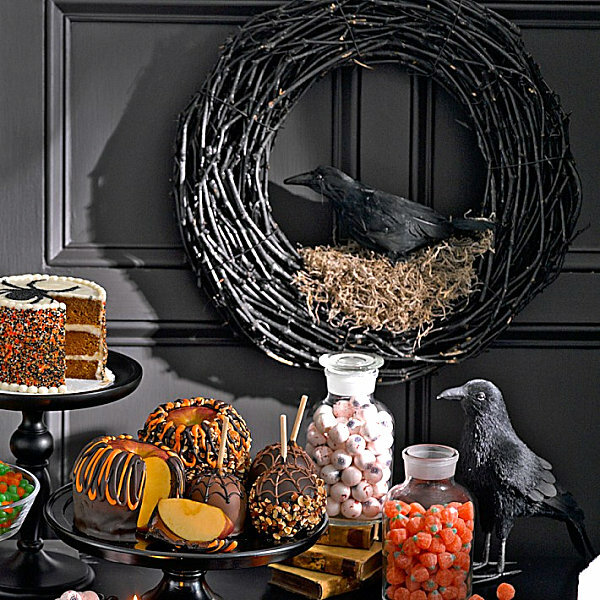 From easy DIY creations to beautiful store-bought finds, the featured items below will hopefully inspire you to create your own spooky vignettes and celebratory spreads. 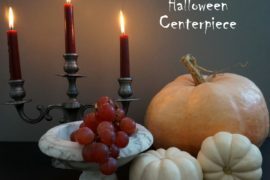 Check out the images that follow, then tell us about your favorites at the end of the post. 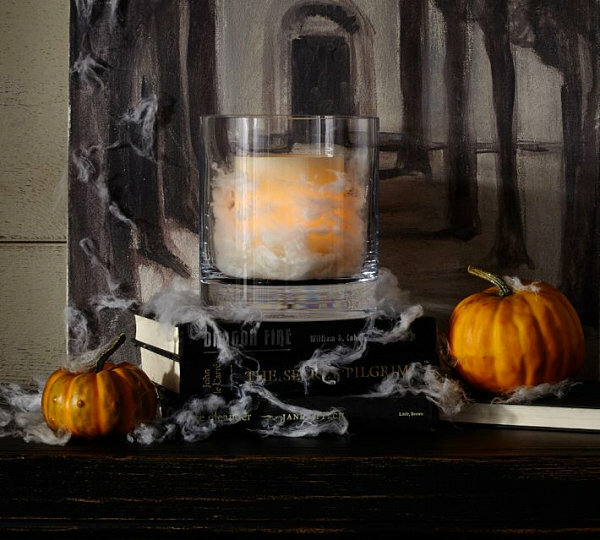 This won’t be the last time we say it, but we at Decoist wish you the happiest of Halloweens! 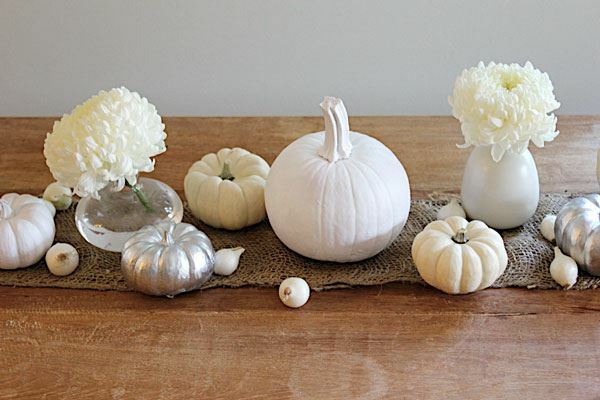 From dark to light… For an unexpected Halloween spread with more cheer than gloom, check out this white pumpkin centerpiece idea from Apples & Onions. 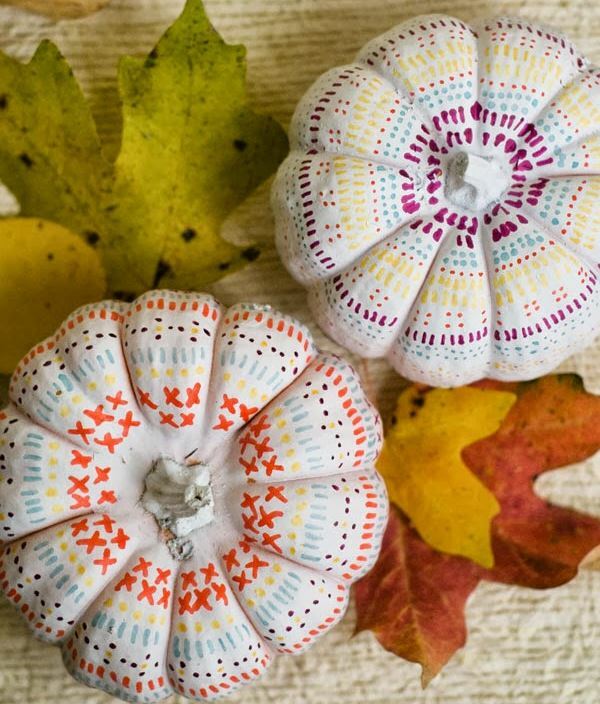 Burlap strips, bud vases filled with white blooms, and a spread of white and silver pumpkins add light and festive sparkle. 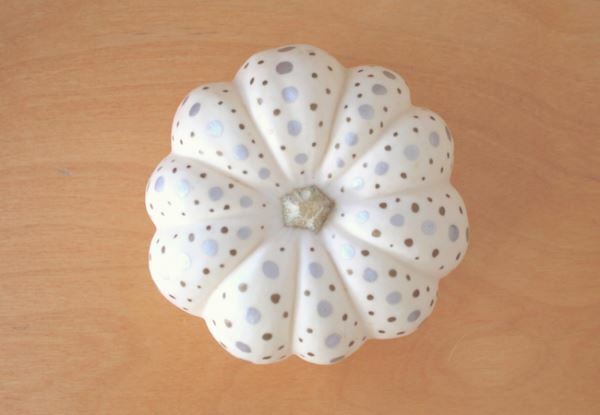 The best part: you can leave this centerpiece up through Thanksgiving! 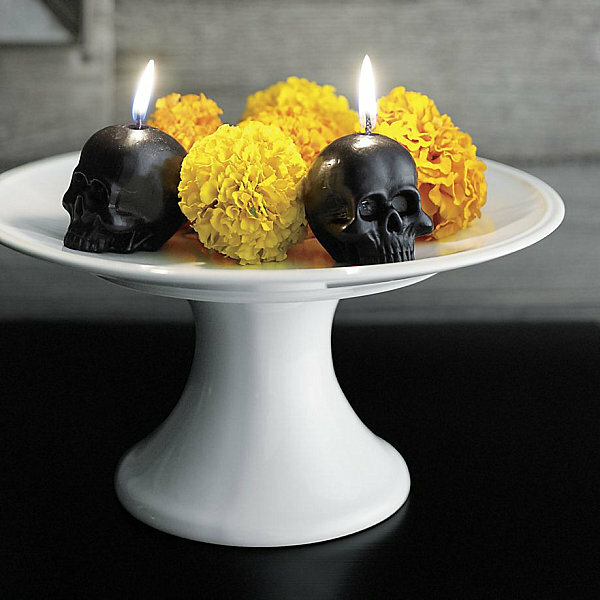 Another centerpiece idea we can’t help but return to time and time again… This trio of skull candles (2 pictured ) from Crate & Barrel. 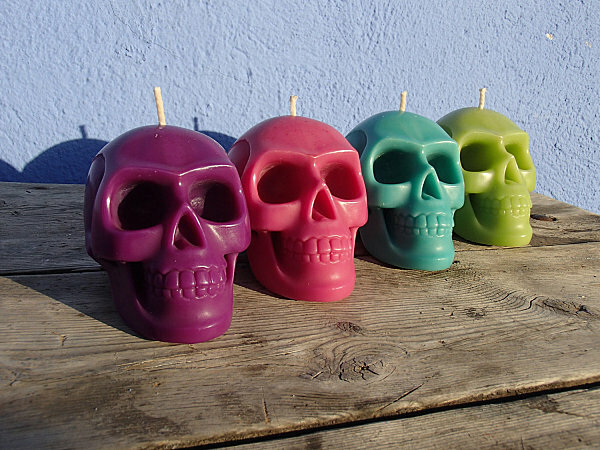 Fill a cake stand with flowers and this set of three candles, because you can’t go wrong with a little black paraffin! 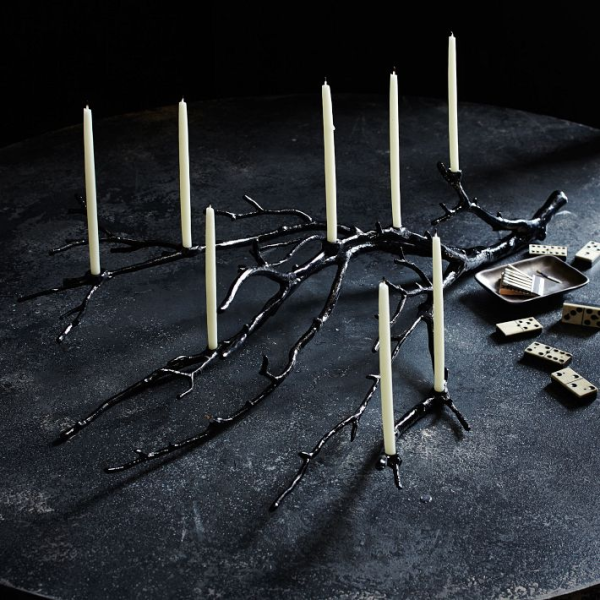 Creaky doors and jangly footsteps are evoked by this next spread featuring Chain Link Pillar Candle Holders from Pottery Barn. 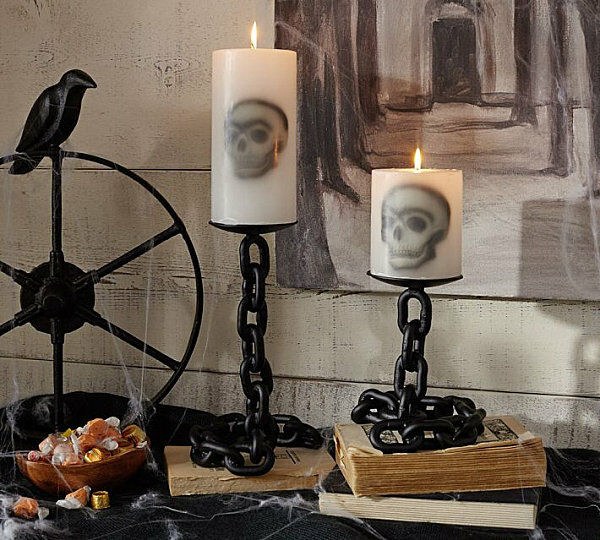 Cobwebs and ravens and chain links, oh my! 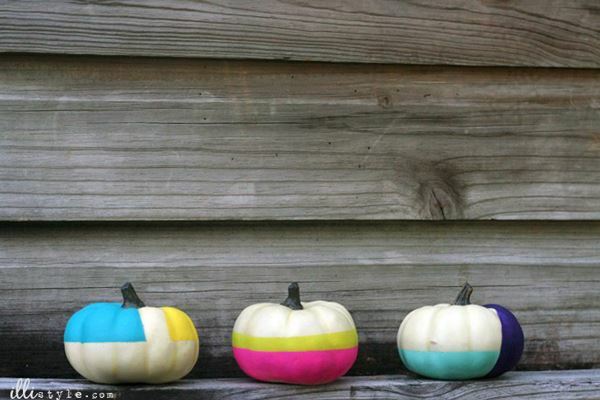 Oh how we’re loving the bold, radiant look of these Color Block Pumpkins from Illi Style! 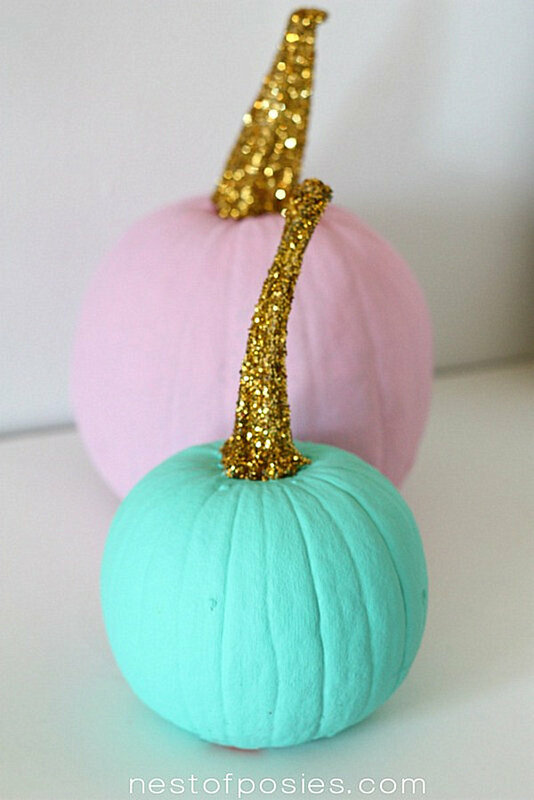 A palette of turquoise, yellow, lime green, hot pink and royal blue couldn’t be more fetching. 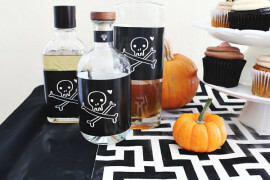 Isn’t it fun to vary the traditional Halloween colors for a dash of unexpected style?! 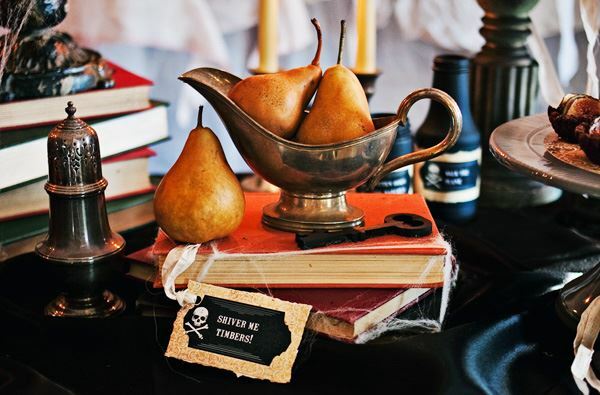 For a touch of garland style, don’t hesitate to make a bold yet understated statement with this Black Halloween Bunting Banner from Etsy shop Ant and Frog. 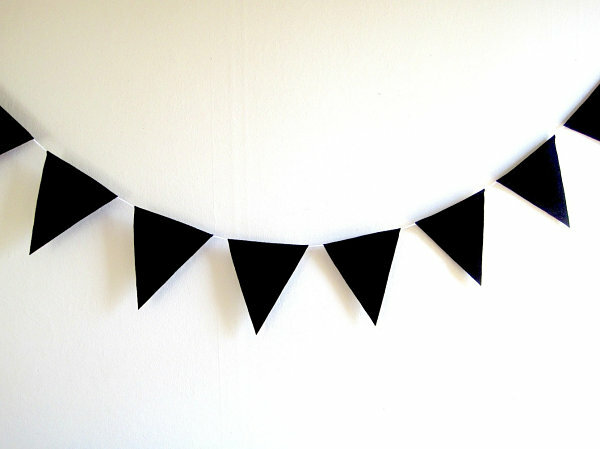 There’s something about the chic simplicity of black flags that’s perfect for child-friendly parties and grown-up parties alike! 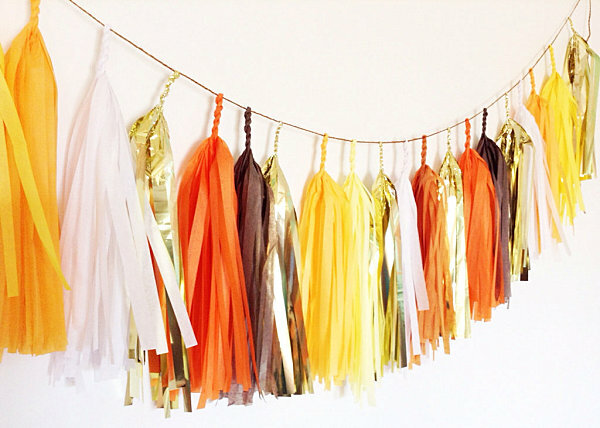 This Candy Corn Tassel Sparkle Garland from Etsy shop StudioMucci is also perfect for party-goers of all ages! 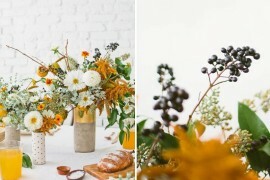 Plus, a warm palette of oranges, golds and brown is also Thanksgiving-appropriate. 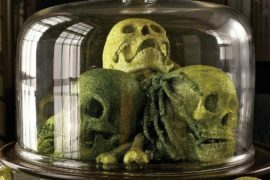 Yes, you can enjoy this decoration well past Halloween! 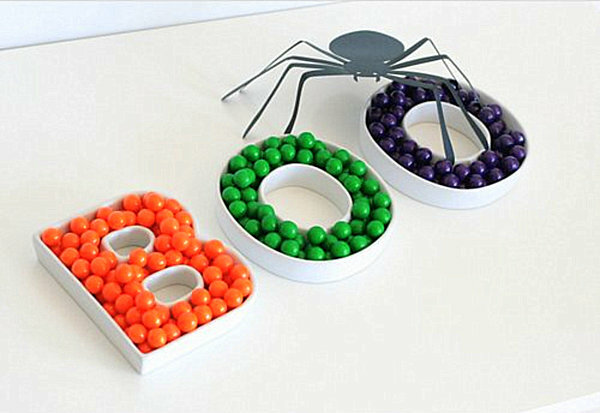 Bright and modern when filled with colorful candy, this Boo Ceramic Letter Dish Set from The Tomkat Studio is the perfect touch for your Halloween party. 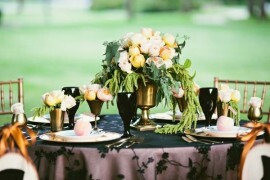 There’s something about the simple lines and bold use of vivid color, especially when these trays are set against a backdrop of a crisp white tablecloth!